Tedizolid is an oxazolidinone with an antimicrobial in vitro potency advantage against Gram-positive bacterial pathogens compared to other currently marketed drugs in this class, including linezolid. Tedizolid was compared to linezolid when tested against Staphylococcus aureus and Streptococcus pneumoniae isolates collected from countries in Latin America and the Asia-Pacific. Isolates were tested by broth microdilution susceptibility methods against tedizolid, linezolid, and non-class comparators in accordance with the Clinical and Laboratory Standards Institute (CLSI) guidelines. The activity of tedizolid against S. aureus was potent and consistent in Latin America (MIC90, 0.5 mg/L), Australia and New Zealand (MIC90, 0.25 mg/L), and China (MIC90, 0.5 mg/L). Based on MIC90 results, tedizolid was four- to eight-fold more active than linezolid against S. aureus, including both methicillin-susceptible and -resistant isolates. Only two tedizolid non-susceptible strains were observed; both had intermediate minimum inhibitory concentration (MIC) values of 1 mg/L, for which the MICs of linezolid was higher (≥2 mg/L). Tedizolid (MIC90, 0.25 mg/L) was four-fold more potent than linezolid (MIC90, 1 mg/L) against S. pneumoniae in all countries that provided isolates. 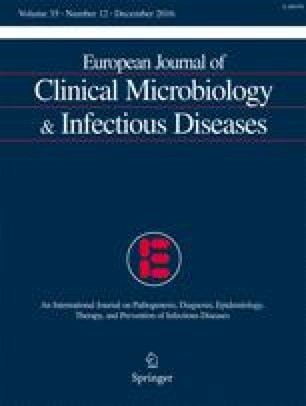 The findings from this study support the global clinical development of tedizolid for Gram-positive infections. The authors thank Thomas Lynch and Aubrey Smith for their support in the protocol design, data analysis, and development of this manuscript. This work was supported by Bayer HealthCare Pharmaceuticals. DJB, SKB, BJ, and DFS are employees of International Health Management Associates, Inc. None of the IHMA authors have personal financial interests and have none to declare. JA is an employee of Bayer HealthCare Pharmaceuticals. These data have not been presented in any other format or other journals and comply with the ethical standards of the journal. This was an in vitro study only and did not include patients or animals; therefore, informed consent was not needed.